Blackinton® is a privately held company, and is the largest manufacturer of police, fire, security, military, and government badges and uniform insignia in the United States. The company combines old world craftsmanship with cutting-edge manufacturing technologies to produce the industry’s finest quality products. Blackinton® has become the public safety badge industry standard for design, craftsmanship, and selection. Over 163 years ago the road was paved by dedicated expert craftsman, a loyal passionate group of skilled workers who focused on creating the highest quality product on the market. This same pride continues to be the driving force behind today’s talented employees at Blackinton. The pride we feel in manufacturing fine metal badges and insignia has been matched only by the pride of the millions of public safety professionals who have worn them. At Blackinton we strive to deliver the best quality products in the industry. Click here and view our video “How a custom badge is made,” and see why Blackinton is the standard for badge design. Blackinton would not still be prospering after 163 years in business if our products were not well made. Quality is not just a word we use it is a value, a creed, we stand behind. 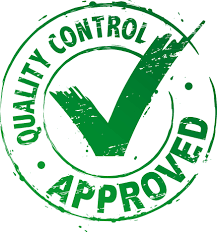 Quality assurance is ingrained into everything we do. Quality inspection begins at order receipt. Spot checking orders – everything from spelling errors (you wouldn’t believe the many variations of the word lieutenant, liutenant, lieutenent, etc.. we receive) to the incorrect building of product. The Blackinton manufacturing plant is a 60,000 square foot facility located on 24 acres of land in Attleboro Falls, Massachusetts. The factory is set up to handle ALL stages of badge production under one roof, here in Massachusetts. The one level expansive manufacturing floor was designed to facilitate a smooth production flow from department to department thereby speeding production and reducing material handling. Blackinton remains in the same community it started in over 163 years ago. We are proud of our American made product line, and the success and longevity we have had manufacturing our products here in America. In recent years due to customer needs we have had to offer a lower priced, lower quality, stock product line of gifts and insignia. Due to the competitive nature of these products we have had to source them overseas. The products that are sourced overseas fall into our jstock product line. Not only are our operations secure – they are green! We have 100% pollution control at Blackinton. When we moved to our new building we built a waste water treatment facility in-house as part of our factory. We completely reuse 100% of our waste water. In an effort to minimize our carbon footprint on the world in 2016 we undertook a major solar field installation project. The solar field sits on 2 acres of our 29 acres of property. Blackinton’s electricity consumption from the grid will be reduced by 50%.